Obituary for Anne Margaret Francia | Longwood Funeral Home & Cremation of Matthew Genereux, Inc.
Anne M. Francia of Newark, Delaware, went home to be with the Lord on Thursday, November 15, 2018. She was 67 years old. She was predeceased by her parents, Gene and Jennie Montani Francia and her brother, Tony Francia. Anne is survived by her sister, Kathy Delacy (Bob Delacy), her brother, Gene Francia (Jackie Francia), sister-in Law, Anne F.M. Francia, her nieces and nephew's who she adored, Jennifer Doherty (Bernie), Cindy Rajotte, Aimee Meginniss (Sean), Toni McMann (Tim), Mackenzie Baker (Mark), Rebecca Golden (Adam), Bobby Delacy (Julie), Nikki Francia, and Tori Francia; great nieces, Jessica, Maggie, Megan, Jenny, Molly, Hallee, Emily, Aubrey, Maiti, Liadan, Emaleigh, Meadow, Makayla, Missouri, Sophia, Allie, Eden, Natalie, Lucy); Great nephews, Christopher Zelaya (Stephan), Ronnie, Mikey, Bryce, Jase, Bernie, Danny, Mike, Tim and her great-great niece, Lily. She was also survived by a host of many other close family members. Anne loved her pets, Bella and Murphy. Anne retired after 27 years from the VA Hospital in Wilmington, as the Chief of Prosthetics. She worked for the last 32 years at DM Professional. 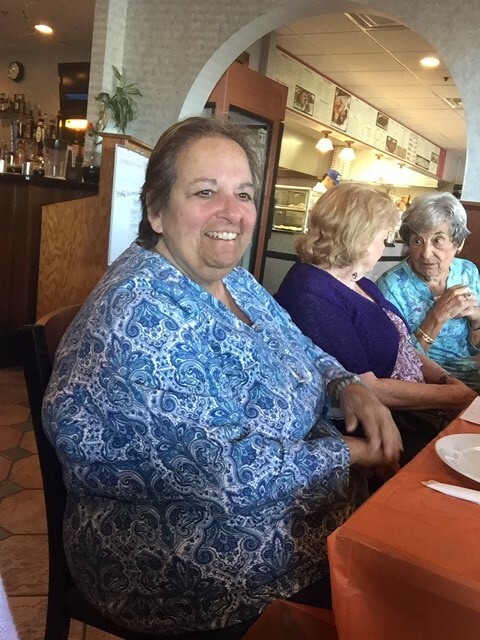 Anne's favorite pass time was watching Golden Girls, Everybody Loves Raymond, coloring with her great-nieces, Molly and Jenny and spending time with her entire family. Anne's favorite music artist was Englebert Humperdink and she would dance around the kitchen to random tunes with her nieces and nephews. Anne did it all for her family and always put everyone before her self. She truly lived a selfless life and was the kindest person anyone could meet. Anne went home to be with the Lord with all of her family around her. A viewing will be from 10:00 AM until 11:30 AM with a Funeral Mass at 11:30 AM on Monday, November 19, 2018 at St. Margaret of Scotland Catholic Church, 2431 Frazer Road, Newark, DE. Entombment will follow the Funeral Mass in Cathedral Cemetery, 2400 Lancaster Avenue, Wilmington. Family flowers arranged by leStyle25 of Unionville, 610-925-1901 tel.